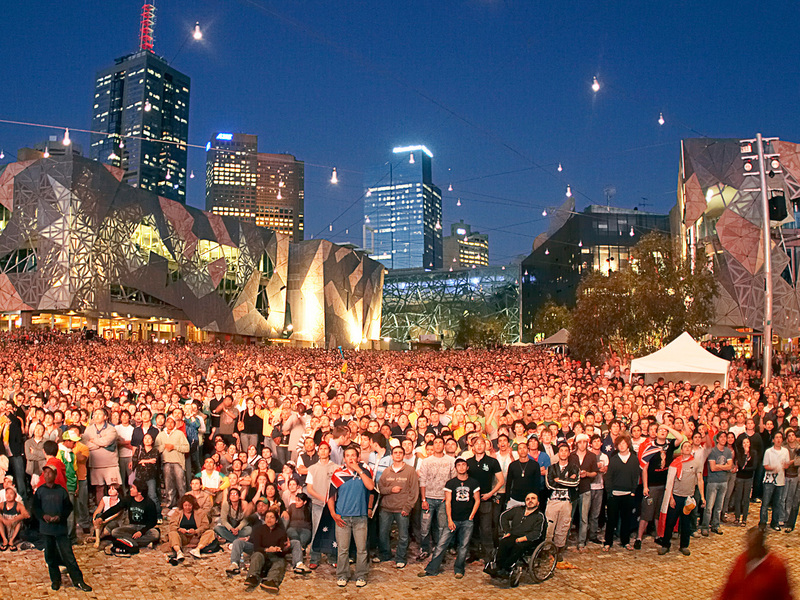 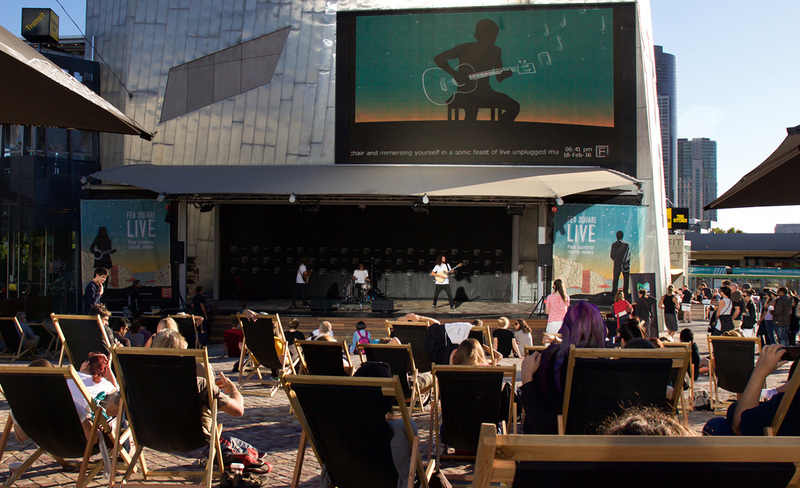 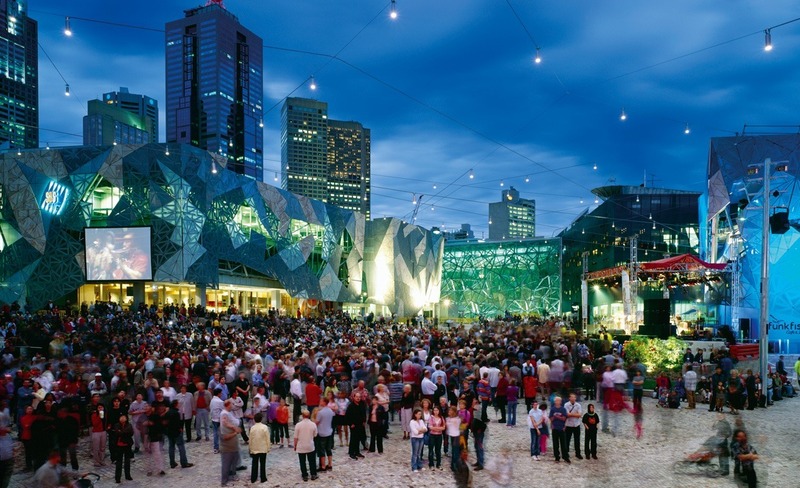 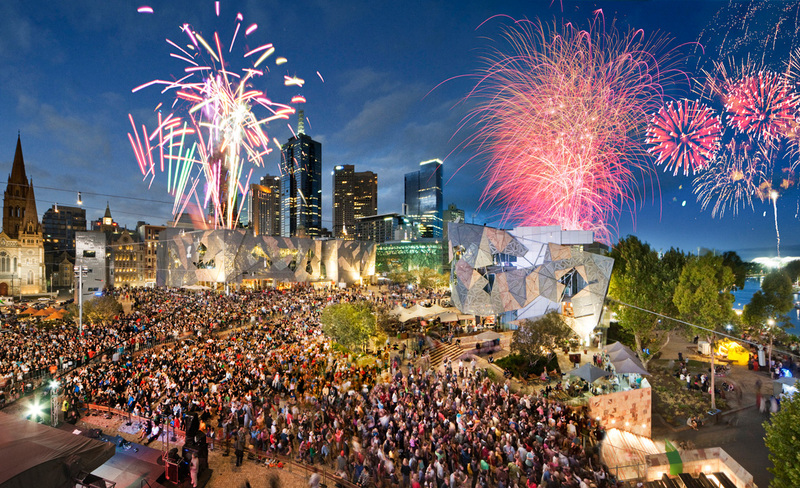 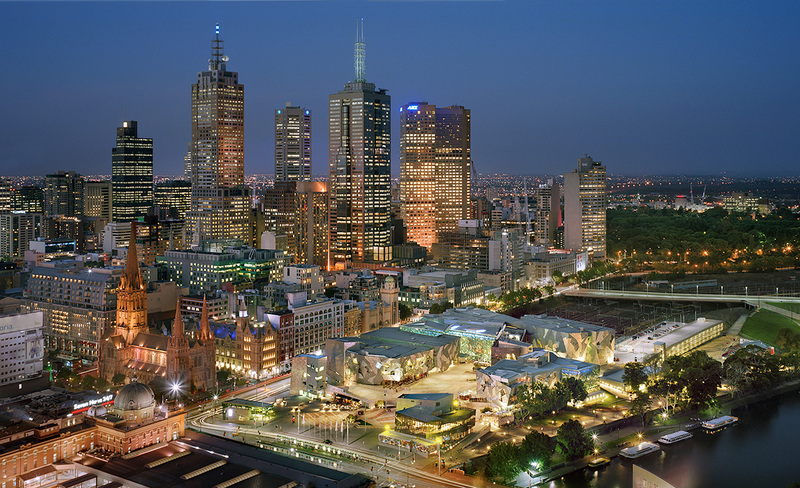 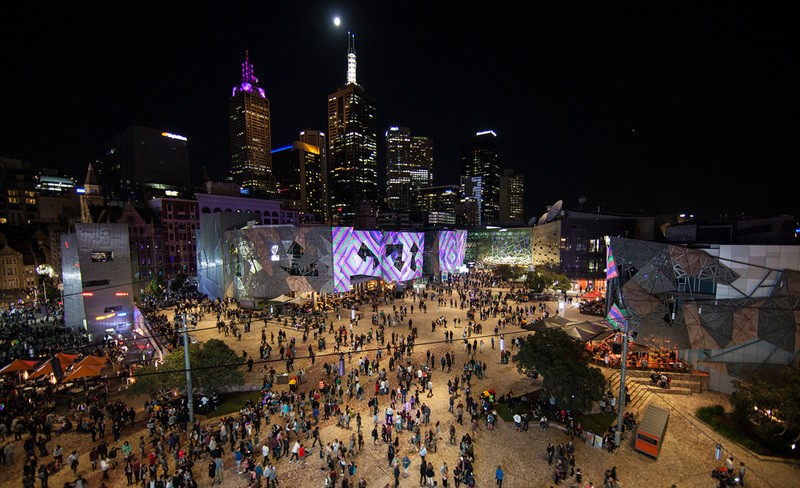 Federation Square, built over a railway yard, is a complex integration of cultural institutions, public places, and commercial facilities. 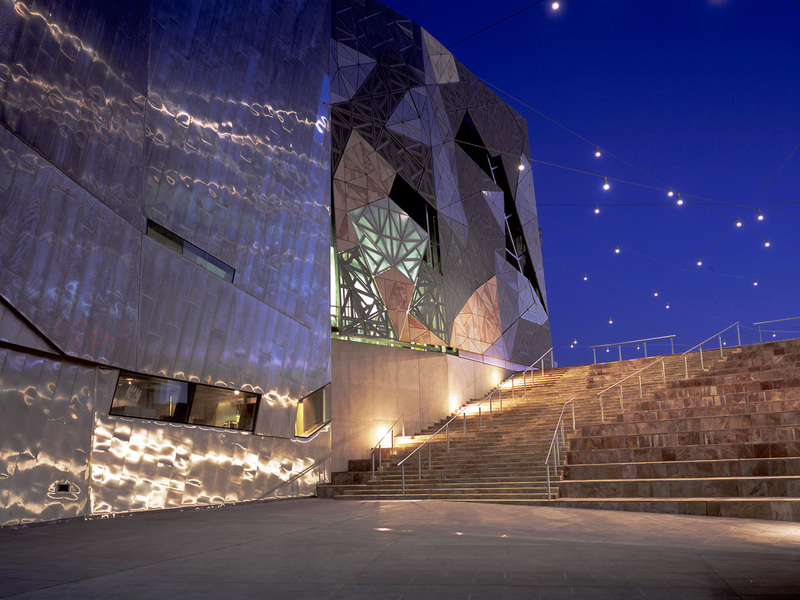 The whole was built on the occasion of the centenary of the Federation of Australian States. 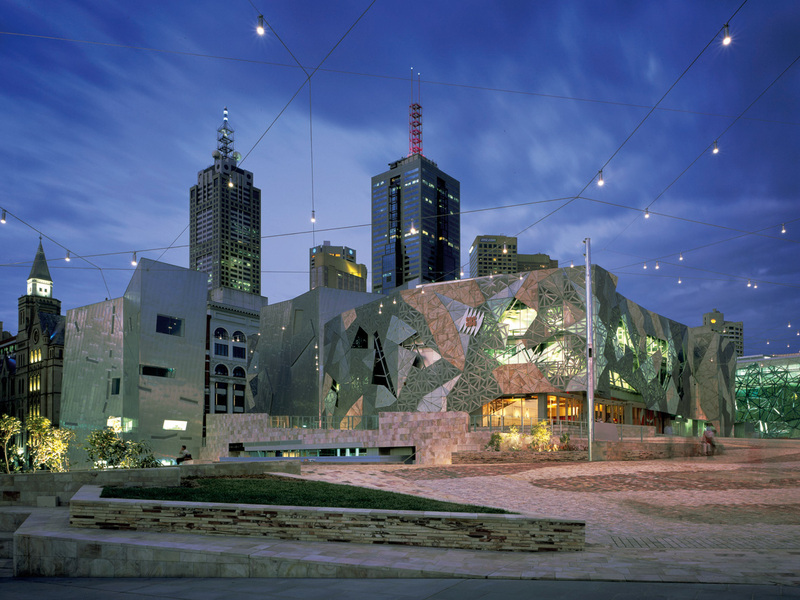 The total project comprises an area of approximately 45,000 m2 and includes a new Museum of Australian Art, a square of 7,500 m2, a public atrium, a digital and film arts centre, commercial facilities, and television studios. 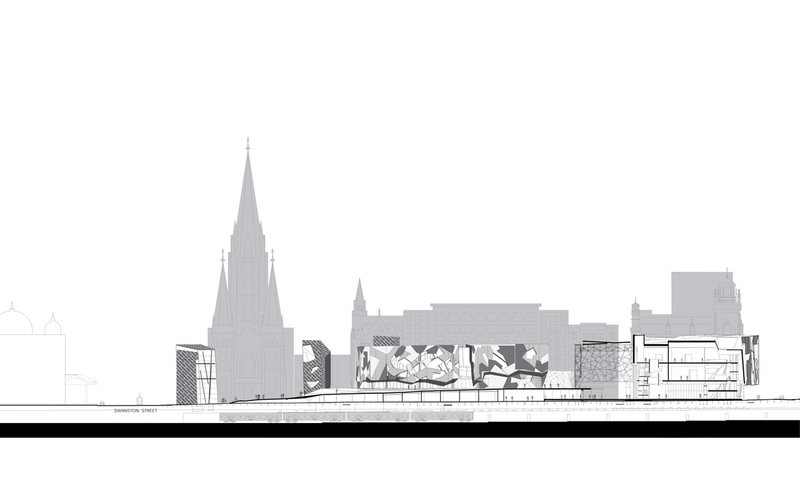 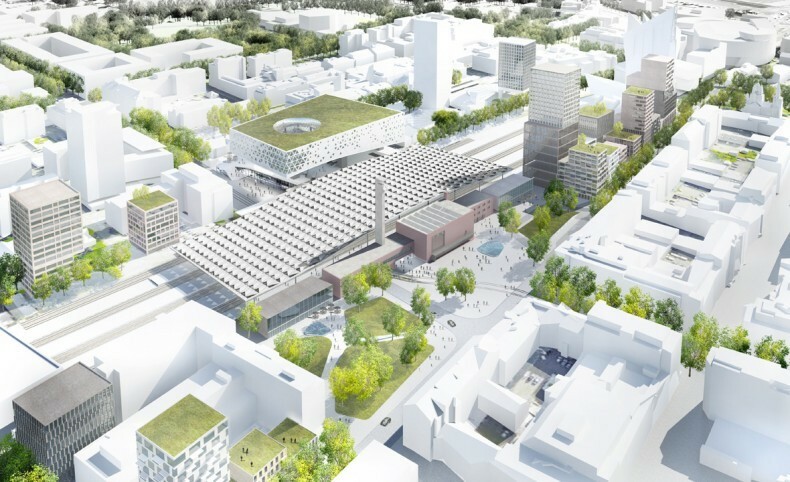 The basis of the plan is to create a new urban structuring that can respond to new uses and simultaneously sustain relationships with the surrounding metropolitan context. 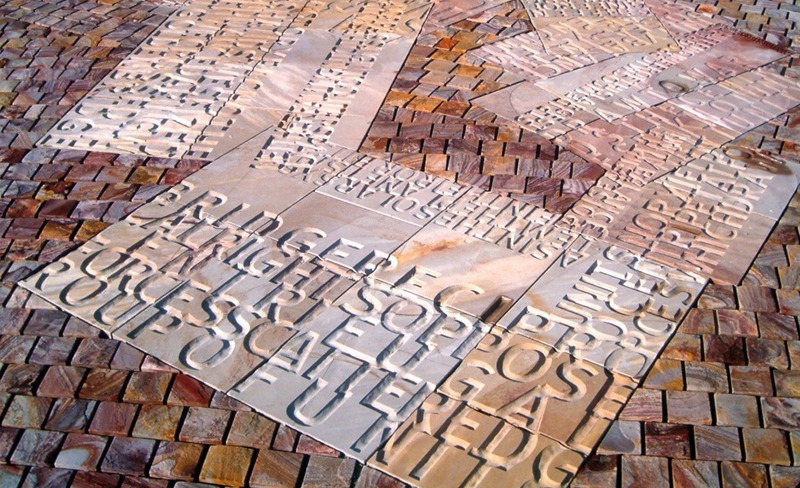 Hereby, in the true sense of the term ‘federation’, diverse elements that form a complex ensemble of the idiosyncratic and the collective are brought together. 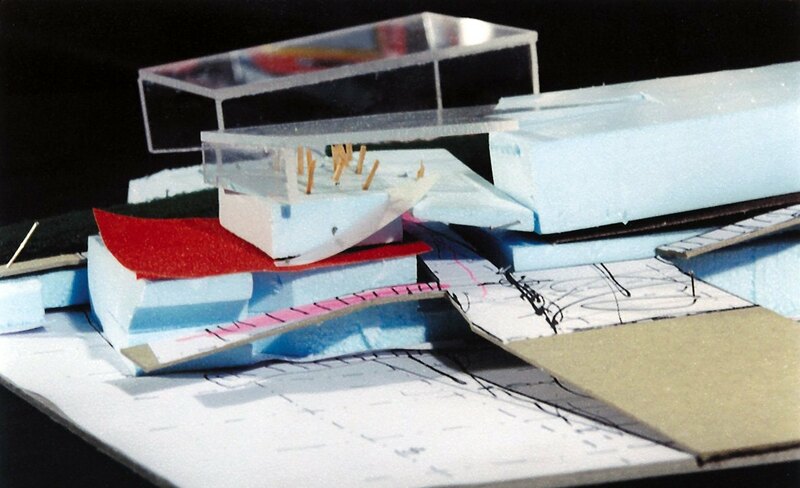 Instead of making a controlled enclave, relationships with the surrounding area are established. 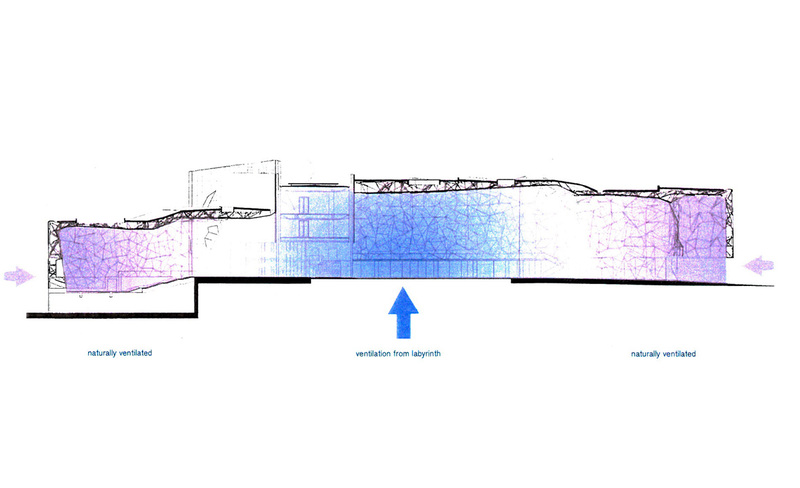 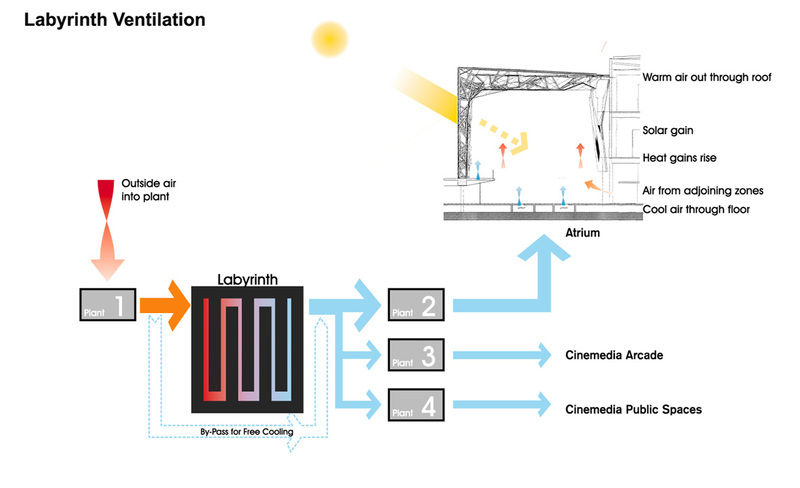 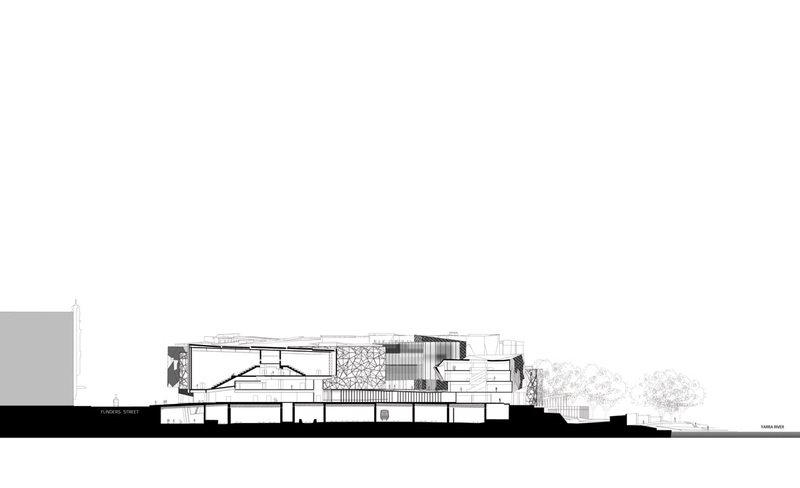 With this, a high degree of accessibility is pursued, and recreational and cultural facilities are interwoven. 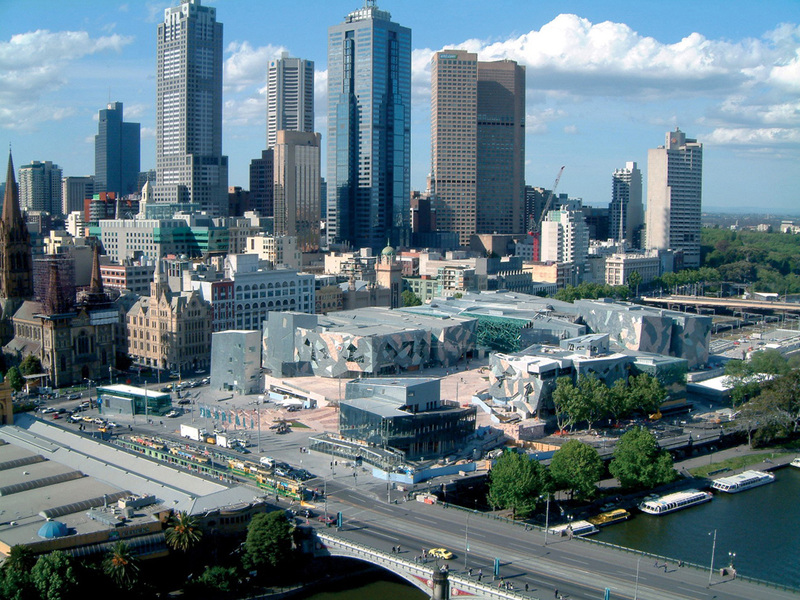 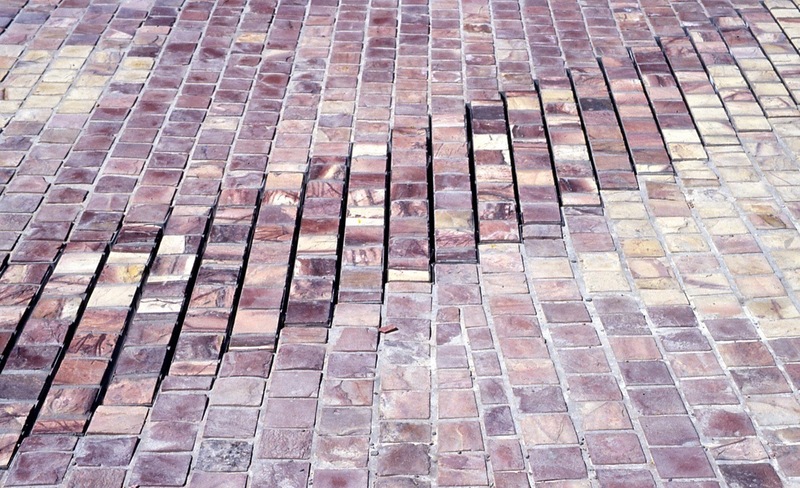 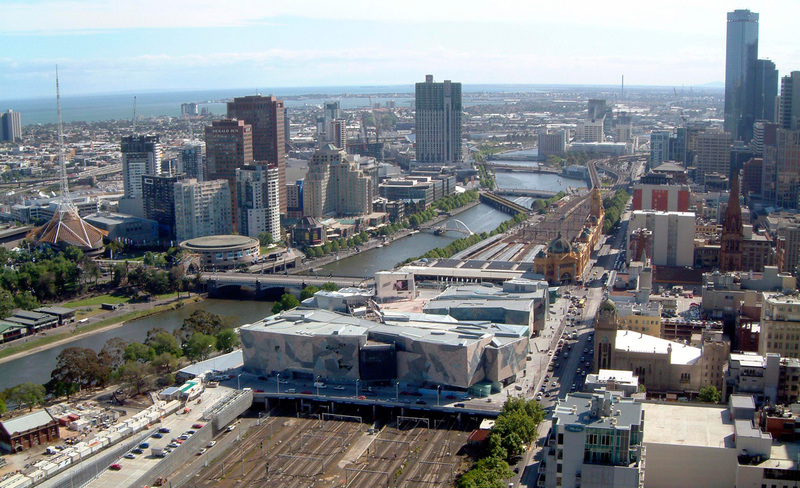 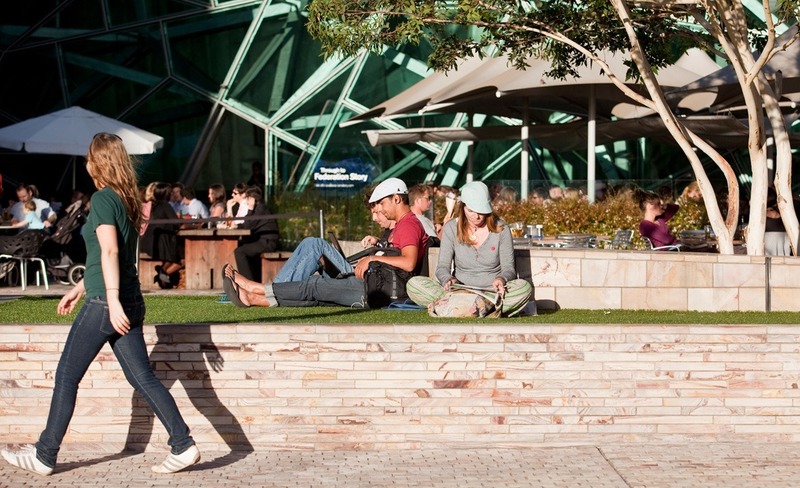 Federation Square is not a continuation of the existing urban grid, but a new artificial condition on the railway that forms a relationship between the city and the river, and thereby attempts to overstep traditional boundaries. 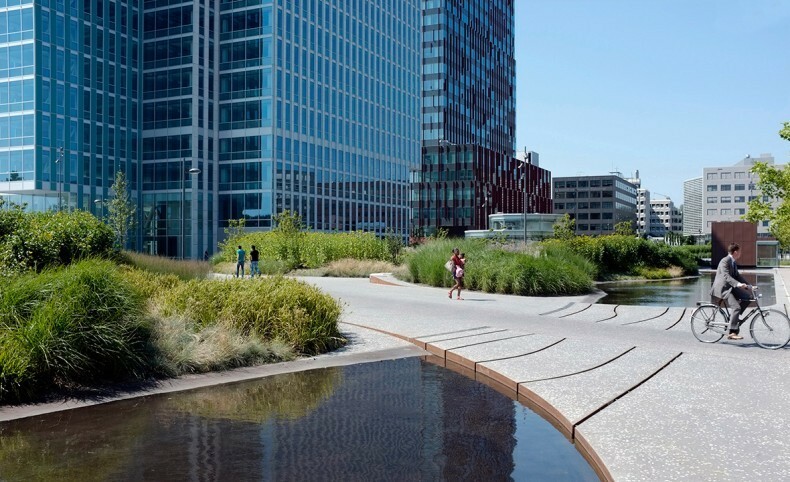 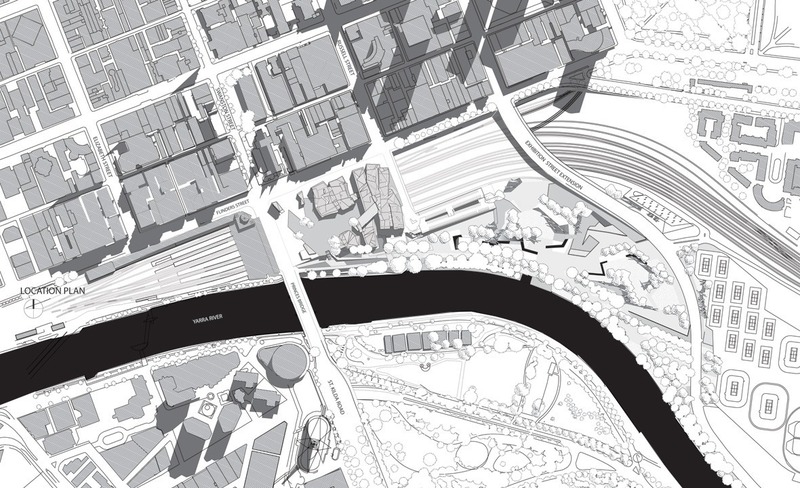 This new urban landscape is not a residual area, therefore, but an integrated part of the total city. 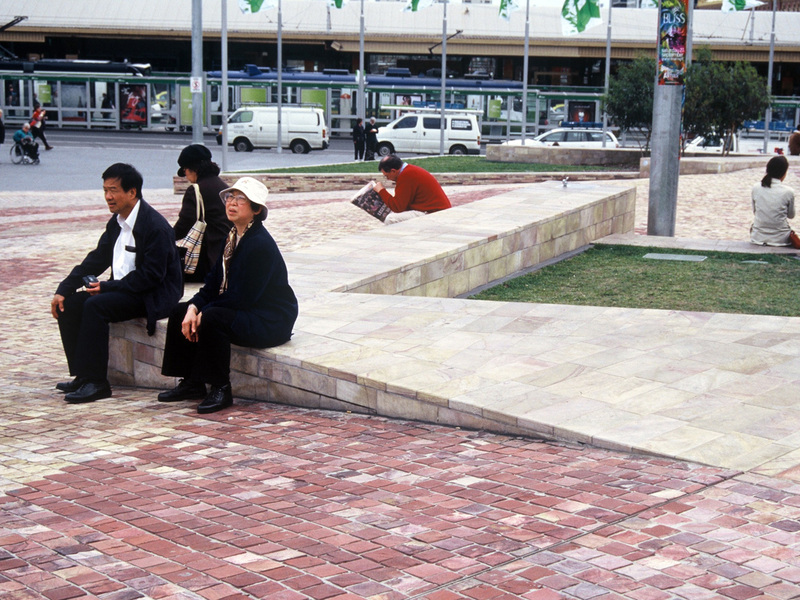 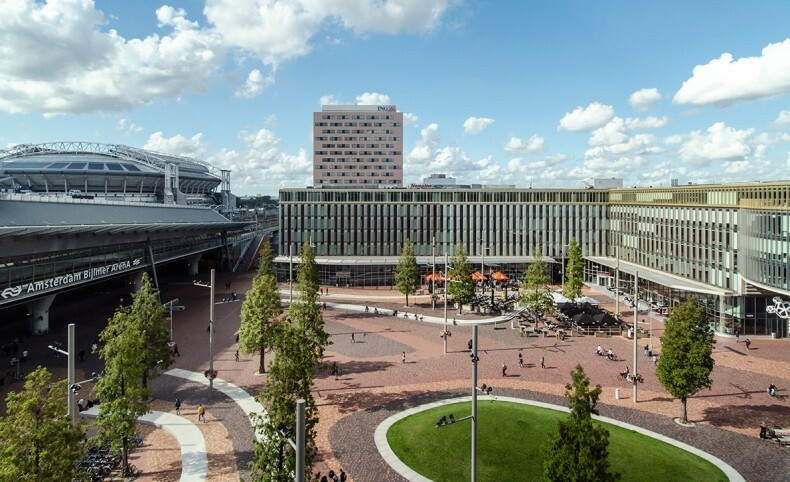 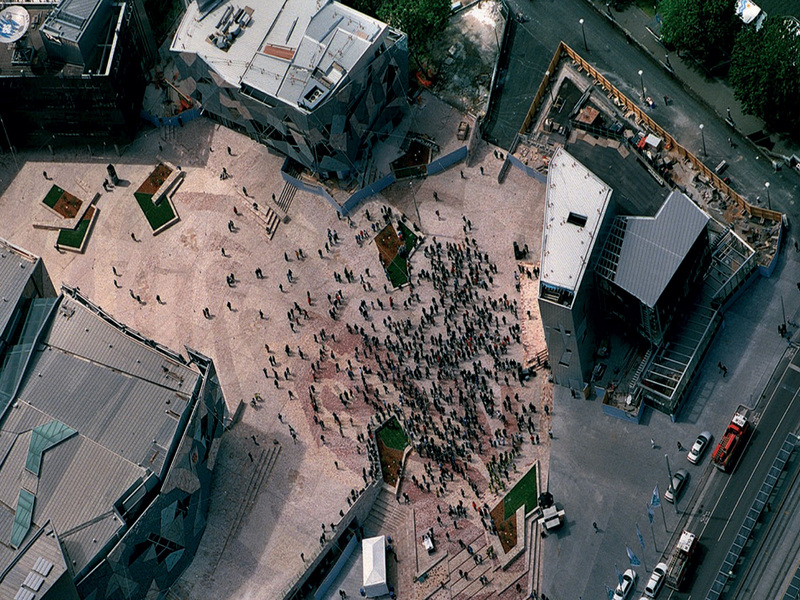 Aside from the outdoor area, the public space is not only an integral part of the buildings, but also streets, passage, square, garden, concert hall, parks, and theatre—simultaneously.